What is the most feminine part of a woman’s body? For many (men, especially), it’s the chest. 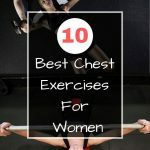 Here is the list of the best chest exercises for women that will help you build an irresistible bosom. When we think of a typical woman workout, things like thighs, glutes, and abs come to mind. Sure, most women would love to have strong and thin thighs, firm buttocks, and fat-free flat belly. Sure, these muscle groups can be easily (well, relatively easily) trained since there are dozens of various exercises and workouts dedicated to them. But who here wants to train their chest? The answer is usually “Why would I want to do chest exercises?” followed by one the popular myths about chest workouts. You wouldn’t believe how strong some of these myths are. Still, we will have to get rid of them. Wrong. Just plain wrong. Let’s get a bit scientific here – women’s breasts largely consist of fatty tissue, not muscles or water or anything else. 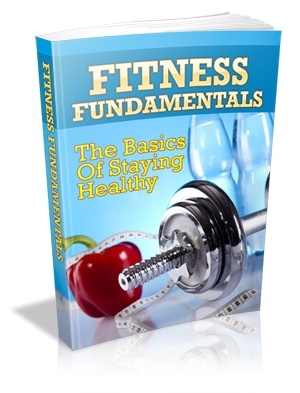 And, as we all know by now, it cannot be done in just one part of your body (arms, belly, legs) – either you are getting rid of that fat proportionally, or you’re gaining it proportionally as well. There is a thin balance, of course, when you maintain your current body fat level but it requires a strict diet and regular exercising. So, whether you like it or not, chest exercises will not affect your breast size in any visible way. Sure, if you start to consume more calories than you burn, your breasts might become slightly bigger but not in a pleasant way. And, certainly, not without the rest of your body. This myth is probably based on how some of the female bodybuilders or fitness bikini contest participants look – very dry, with a fat level that is much lower than an average human should have. Breasts do not look quite feminine on such women. You have got to understand that this is not the way these athletes usually look – this peak form is only achieved for and maintained during the competition (1-2 weeks). It’s impossible to keep that little fat in your body without harming it for longer periods of time. Wrong again. This is easily explained by applying the logic that we had already started in the previous passage. Muscles take up only a small part of your breasts, the rest is fatty tissue. So, unless you’re depriving yourself of calories on a weight-losing low-fat diet, your breasts will remain the same size while doing chest exercises. 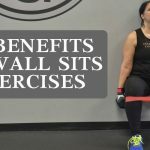 Their shape, however, can benefit from exercises. If you are on your regular diet (i.e. 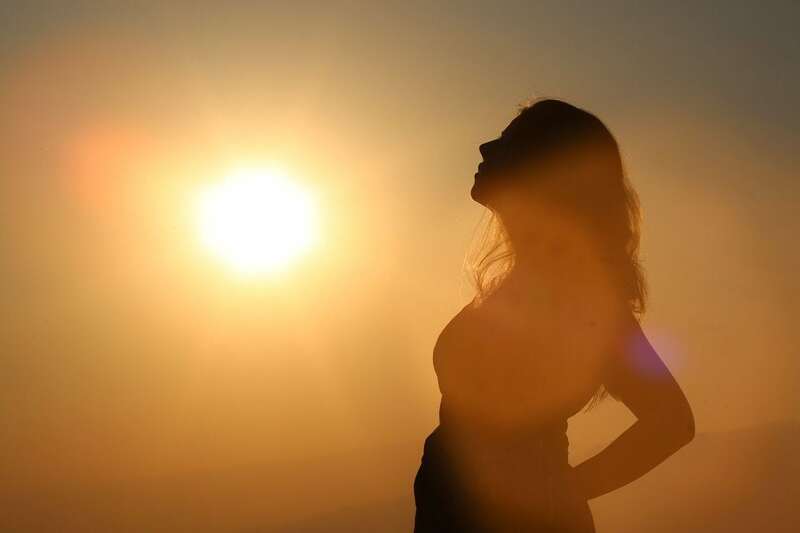 not losing weight, nor gaining it), the additional exercises will help to build up muscles beneath that fatty tissue, which, in turn, will affect the shape of your breasts, making them appear fuller and more round. Not entirely wrong. You may (as many women do) already have push-ups in your full-body workout routine, and these push-ups are actually helpful but only to a certain extent. The very mechanics of push-ups suggest that there is no weights progression, which means that soon after you start doing push-ups, your body (and muscles, in particular) will eventually get used to the stress received and stop progressing. Therefore, push-ups are only good as an entry-level exercise for beginners to help build that core muscle set. Or, you can have them as a part or your warm-up workout. Otherwise, they are not that effective for your chest. These were the three main myths about chest exercises. We hope we’ve managed to bust them. The best for your chest. 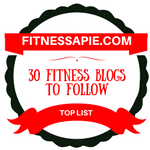 This list is complete with a brief description for each exercise. 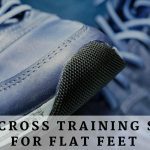 For your convenience, we have split these exercises into 3 groups – beginner, intermediate, and advanced. It’s better to use a mat for this one. This is where we’re getting closer to the bench press. This exercise is done with a pair of dumbbells, on a mat. Similar to the floor press, this exercise is performed on a mat with a pair of dumbbells. Now that you’ve gone through some beginner stuff, it’s time to raise the plank. This exercise can be done either with dumbbells or in a machine. Since the latter is easier, we’ll talk about the dumbbell version. This may seem like a piece-of-cake exercise but trust us – it’s going to make you sweat. This is how you do it. Yes, the good old push-ups. The technique is quite well-known – just make sure you put your hands wider than your shoulder width to concentrate the effort on pectoral muscles. It’s very important to observe the correct technique so make sure you watch this video before going to the gym. Time to get serious, girls. 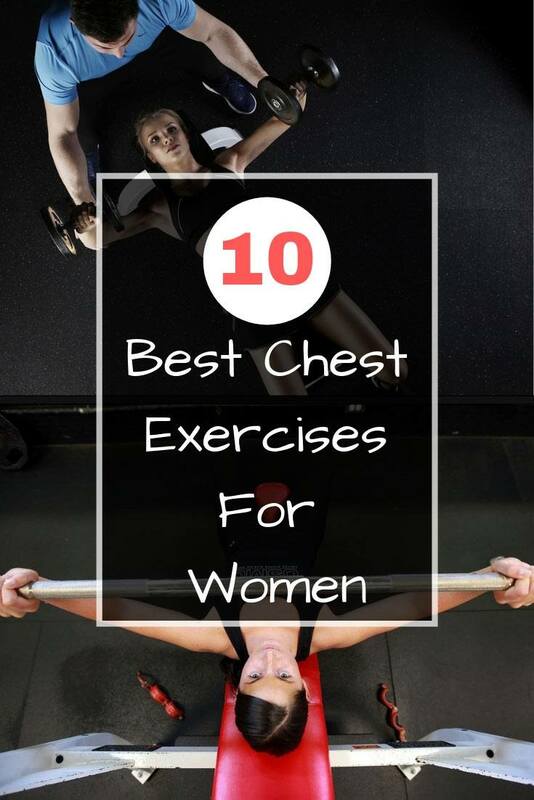 Every man’s go-to chest exercise is also suitable for women. A variation of the floor flies we’ve covered earlier, albeit much harder. There are plenty of variations to go with when doing cable flies – watch the video below to learn more. Some of the things you might want to consider before including chest exercises in your workout routine. Gradually increase your weights to make the workouts more effective. You may start with lighter weights and easier exercises (like push-ups) to get your body going but then you should start increasing the weight as soon as you notice that your muscles got used to the stress. The ideal number of reps is from 8 to 10 for flat bench and incline bench press. For exercises that involve dumbbells, you may stay in the 10 to 12 range. Two or three sets per exercise should do it. Don’t forget to rest between the sets – take a minute’s rest between bench presses and 40-45 seconds for dumbbell or cable flies. Start your workout with compound exercises that involve most pectoral muscles (bench press). Leave the easier stuff for the end. Diet: stay on a normal-calorie diet (calorie intake equals calorie consumption) to achieve the best result. If you move on to the high-calorie diet, you might gain some weight. If you turn to low-calorie diet, you might some of that perfect breast shape due to the absence of fat. 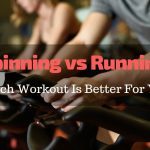 Frequency: it all depends on your current workout program. If you’re doing full-body, then 3 times a week is just perfect. If you’re following a split-body program, then it’s twice a week. In any case, make sure you have a day’s rest between the workouts to give your muscles time to recover and grow. These are the things to keep in mind when you’re just starting doing chest exercises.